The green lanes your ally, now and forever. There's something about the green country lanes of England which inspires and delights. In terms of flora, there's something remarkable about the variety and pure ingenuity of the hedgerow plants, which are at their best in May and June. Even a short stroll down an unremarkable lane can prove rewarding. Hedgerows can, I believe, be dated by the variety of bushes and trees which make up their leafy walls (see 'How to date a hedge' below). The hedges of Cornwall are a maddening mix of deciduous trees, evergreen bushes and rustic shrubs. 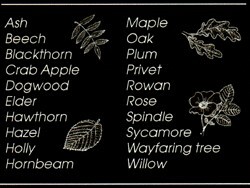 Old varieties like hazel, oak, hawthorn, cobnut, willow and ash intertwine to form impenetrable walls. 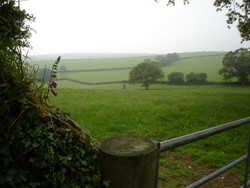 Modern farming methods saw the destruction of many historic hedges, some of them having existed from the earliest times of farming and land management, so it is with some optimism that the hedgerow is now recognised as an important part of the landscape, both in terms of a habitat and as part of the countries rural heritage. 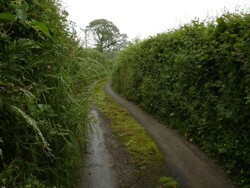 "Hedgerows are often seen as defining features of English landscape character. They are important for wildlife and provide valuable evidence of historic development. shelter and control livestock, and protect crops from wind". 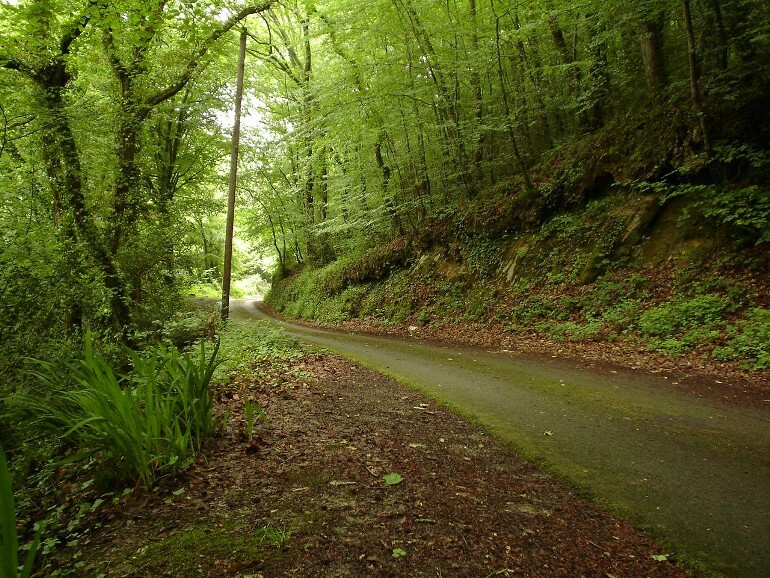 The Looe area boasts many leafy country lanes, but there is one which inspired the dark lanes featured in Barrow Hill. Known as 'Stocks Lane', it runs down through a valley, between Duloe and Windsor Woods. 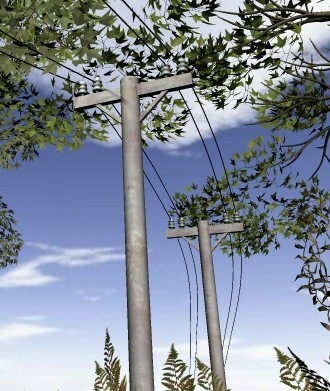 A set of telephone poles follow the route of the road, and were replicated in Barrow Hill. In the fiction, they provide a telephone signal to the lonesome phonebox, whereas in reality, they provide a line to the outside world for isolated farmsteads and cottages. Given how many country lanes, and hedgerows, dissect the farmlands and forests of the West Country, it is not surprising to find that many have their own legends, tales and ghost stories. Highwaymen, phantom carriages, foraging witches and the hangman's gallows are all sights once associated with the humble country lane. 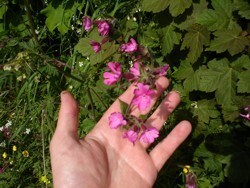 The average hedgerow is a venerable supermarket for the ancient and modern wicca, with plants such as Angelicia, Thorow-Wax and (appropriately) Witch-Hazel. The bio-habitat (just to sound scientific) exhibits a delicate balance, and provides specific varieties of plants in abundance. There is even a name for the hedgerow hunting wicca, the unimaginative "Hedgewitch". Whether white, or dark, you can still see people plucking thorny goodness from the hedges today, with a wicker basket in hand. 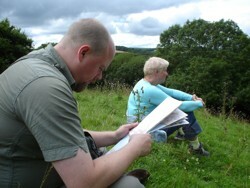 Those who have played through Barrow Hill will know a little about foraging for berries, seeds and nuts. It's a bizarre, but strangely comforting, pastime. As for ghosts: Barely a Cornish lane can be passed that doesn't boast some ghoulish activity. The steep descending lanes of Talland Bay are known to have played host to screaming phantasmagoria, runaway carriages pulled by headless horses and the sinister figure of Reverend Dodge; a 17th century character who stalked the lanes by night in search of witches, demons and ghouls. In truth, given a modern perspective, it is thought that the reverend was in fact scaring people away from the smugglers delivering contraband to the church vaults. Naughty reverend! Executions were often held outside of the village centre, on the junction of two main roads. Some of these 'main roads' were nothing more than trackways, which still exist today as lesser known lanes, or farmers lanes which are unsuitable for road vehicles. It is interesting to note that the inspirational lane, which helped forge Barrow Hill, is known as 'Stocks Lane', which leads to 'Stocks Wood'. In history, the 'stocks' are a wooden contraption, in which thieves, criminals and undesirables were locked, hand and foot, for humiliation and torture. Local research into Stocks Lane has been disappointing, so should anyone reading this know of torture and humiliation down the lane...ummm...please let us know. Nothing too salacious, thank you. How can you tell the age of a hedge? 1. Choose a 30 metre length of hedge. 2. Count the number of species of mature trees and shrubs you find in it (mature examples will have sturdy trunks, and deep roots). 3. Multiply the number of species by 100. The answer is the approximate age of the hedge. 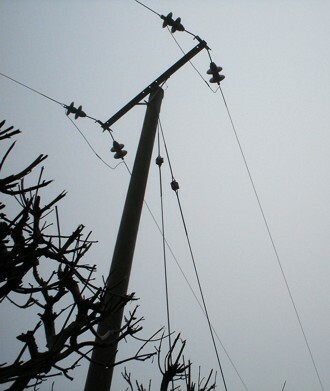 Right: A vital source of rural communication, as seen in Barrow Hill. 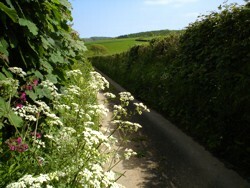 Below: A leafy spring Cornish country lane.